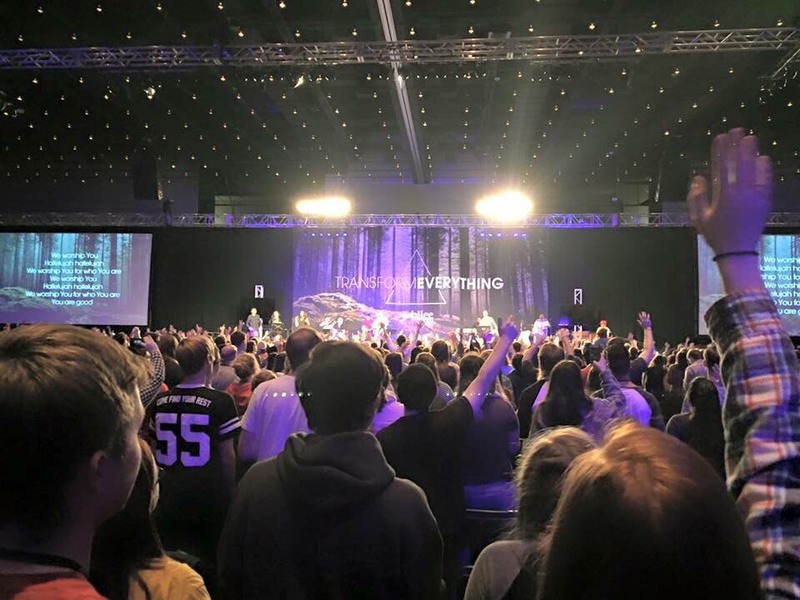 Jubilee, an annual conference sponsored by the Coalition for Christian Outreach, is scheduled for Feb. 17-19 in Pittsburgh, PA. Malone’s office of spiritual formation coordinates a group of students attending the conference each year. The deadline to sign up to participate this year is Feb. 8, and applications are available in the Barn. The total cost is $209, and scholarships are available to help cover the cost for students. Jubilee includes workshops, small group sessions, gatherings and large group sessions, and this year’s conference includes presentations from include Lecrae, Ekemini Uwan, Anthony Bradley, Leonce Crump, Jon Tyson, Sarah Thebarge and Sho Baraka and more. Vincent Leone, sophomore communication arts major, said he especially enjoys breakout sessions. “There are these breakout sessions, and there are speakers who come in from across the nation to speak about various topics, all the way from the majors in college, to how to parent, to how to start a movement on your campus,” said Leone. Leone said he remembered a specific workshop he particularly enjoyed. According to Leone, Jubilee is a combination of a hub for spiritual growth and a fun weekend. Katie Boor, junior Bible and theology and educational ministries major, said she looks forward to Jubilee each year. She said she highly encourages other students to participate as well. “At first, I was introduced to [Jubilee] as this place where you talk about creation, the fall, redemption [and] restoration of the bible and how that can take place in your life and how you can implement glorifying God in all aspects of your life, no matter what you’re doing or what major you’re in,” said Boor. However, she said she did not realize how much bigger this conference was going to be. Boor said that at Jubilee students get to see different ways to worship and live out their faith and see the different qualities God created in people so that they could work together. Jubilee emphasizes how to come together to worship God no matter a student’s background, and it provides a safe place to get back on track. It is a place to see Christian and secular colleges coming together to worship God. “I think the workshops are helpful because they give you a new perspective on things you’ve been taught your whole life. I feel like going to Jubilee through the main sessions and workshops gives you a new perspective on what it is to be a Christian and [have] a biblical world view,” said Boor. Cathy Weyand is a staff writer for The Aviso.